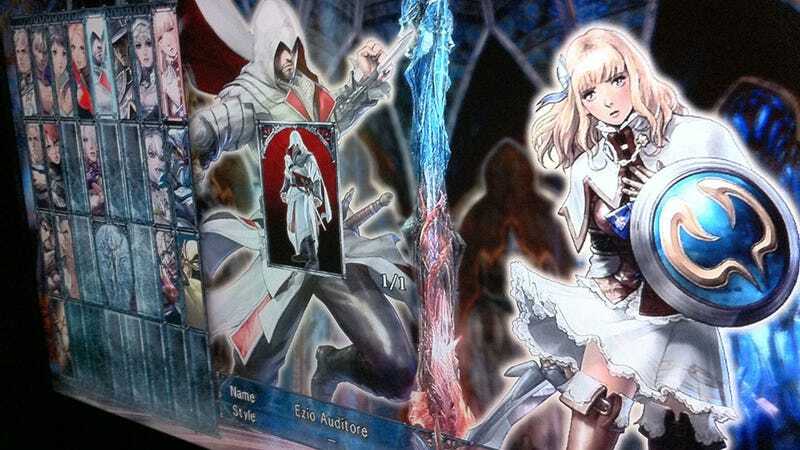 Is Assassin's Creed's Ezio In Soulcalibur V? So we'd be led to believe, going by this single screenshot. Just the one. No video. Taken at a reportedly recent Soulcalibur V press event. I'm so suspicious I'm furrowing my brow, but we're checking with Namco Bandai just to be sure.